Jeremy Fisher, from Hamilton, Ontario, is gaining a substantial following in North America. His Tour in 2002 gained notoriety as he completed it across Canada by bicycle. It took 6 months, starting in Seattle, USA and ended 7500 KM away in Halifax, Nova Scotia. Amazing. 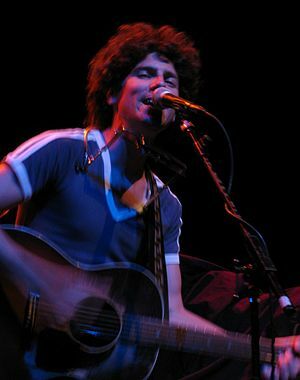 He has toured with such notables as Xavier Rudd, Sarah Slean and The Proclaimers. The track I have chosen to share is “Shine a Little Light” off his 2010 album “Flood” I chose this both for the music and the ingenious use of an iPhone in creating the video. This entry was posted in Blues, Canadian Music and tagged Canadian Music, Music. Bookmark the permalink.